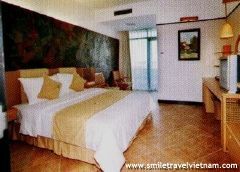 Abalone resort spa, discount rates at Abalone resort spa. Located 15 minutes drive from Hue, on picturesque Tam Giang Lagoon and just a short drive from Hue Beach, Abalone Resort & Spa is set above water providing a truly unique and tranquil experience, overlook to the lagoon. Stylish in design, modern accommodation concepts with traditional Vietnamese themes and colours providing a true sense of Vietnamese culture and lifestyle. Personnel service with a smile the professional team is dedicated to ensuring your stay at Abalone Resort & Spa will be as relaxing as possible. 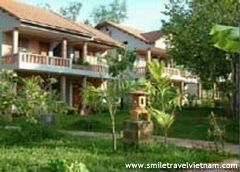 - Abalone Resort & Spa is located on picturesque Tam Giang Lagoon just a short drive (1km) from Thuan An Beach and 12km from Hue. 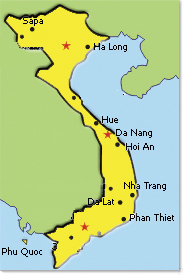 - From Hue city Center, following Nguyen Sinh Cung or Pham Van Dong street, then turn right to 49 Highway. 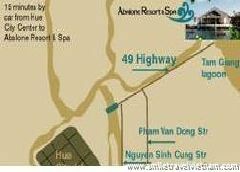 After 15 minutes (12km), you arrive Tam Giang Lagoon and Abalone Resort & Spa. 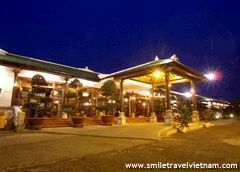 - Airport transfer ( Phu Bai airport): 35 USD/trip/1 way. 58 Superiors, 36m2, twin or double beds. All standard Abalone decoration, bancony with Lagoon view. 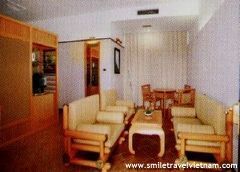 16 Deluxe Rooms, 42m2, double beds. All with balcony, lagoon view. 03 Suites, 48m2, King size double beds. Living room and balcony with lagoon view. 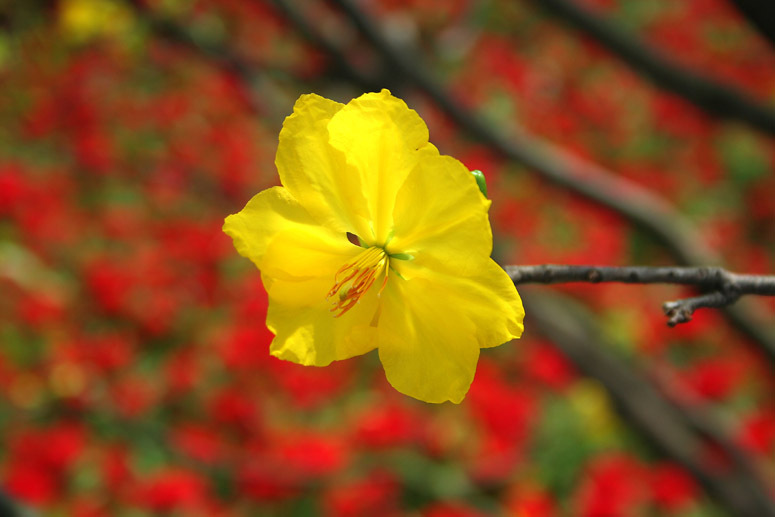 This is where "East meets West", the blending between international themes and traditional Imperial Hue tastes. International or local Vietnamese cuisinewith freshly caught Seafood specialities. Wild Spices offers an extensive buffet breakfast and a la carte lunch, and dinner options. 120 Seats inside and 80 seats on terrace. Overlooking the lagoon. Restaurant - Bar, 50 Seats provides lagoon breeze with light foods and drinks by the pool. BBQ corner for pool parties. Billiards, snooker. 20 Seats, by side of Lagoon. Filled with aegiceras offers drinks, snacks and different books. Meeting/Function room up to 80 people. Equipped with Audio-visual, seminar equipment and secretarial services, screen with overhead projector, slide projctor, Portable wireless mocrophone, color television, Video player, Flip chart, white board, photocopying, Facsimile Computer, Laser printer, Email, Internet service. Abalone Spa gives you a complete selection of herbal and body treatments, massage therapies, and beauty services from which to choose. Relax in the spa bath and sauna, then unwind and soothe your mind, body and soul, leave all your worries behind. - Catching fish avaiable at every balcony.